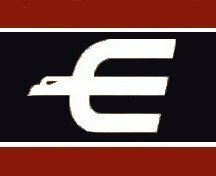 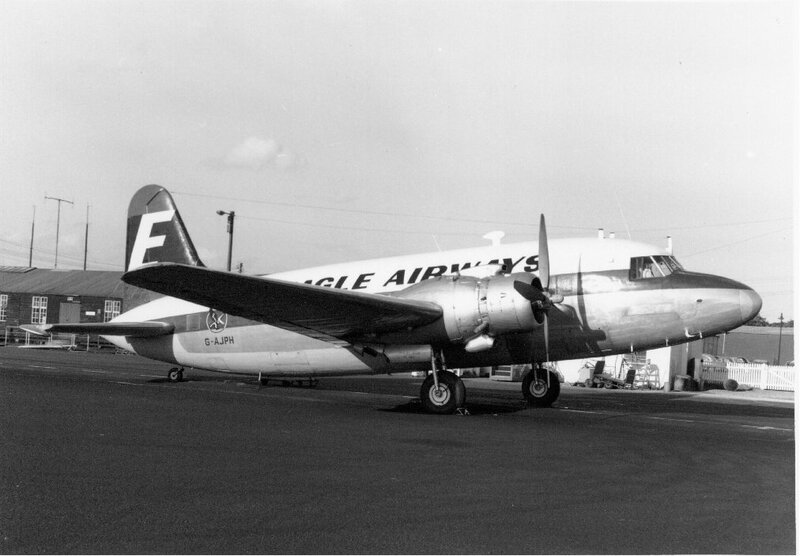 Purchased by Eagle Aircraft Services Ltd from the Ministry of Supply in December 1953. 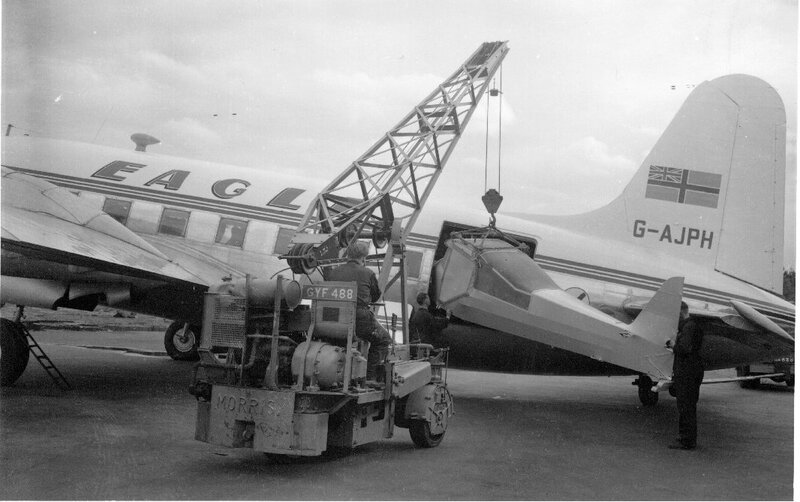 It was withdrawn at London Heathrow on the 7th October 1961 and broken up in 1962, its remains were dumped in a gravel pit at Bedfont, Middlesex. 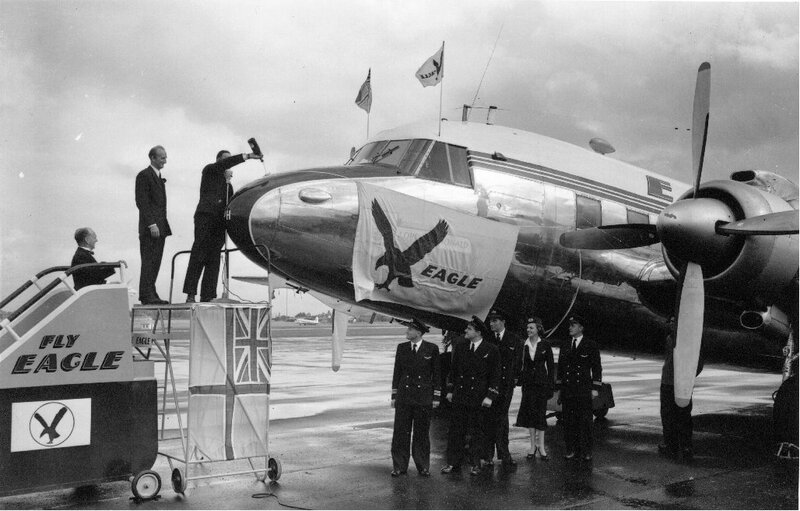 "Lord Donaldson" - Named by Mr Peter Masefield in a special ceremony at Northolt. 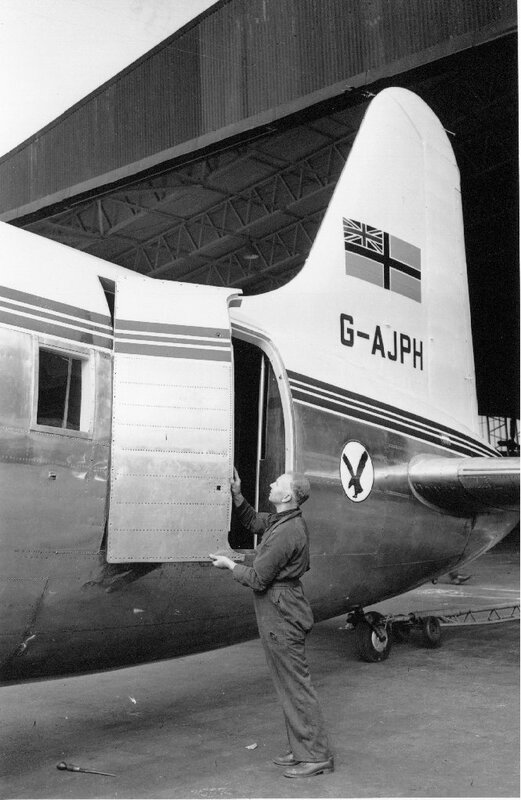 It was rebuilt using parts from G-AHPO and was fitted with a freight door measuring 68in x 63in making it a type 618/1B. 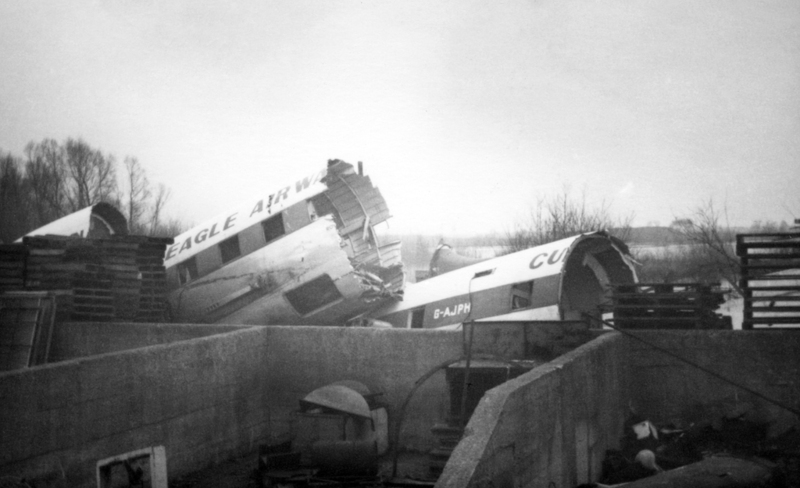 It used serial number XJ804 on trooping flights and was badly damaged after a belly landing at Nicosia, Cyprus on the 19th January 1956 and again on the 30th January 1957. 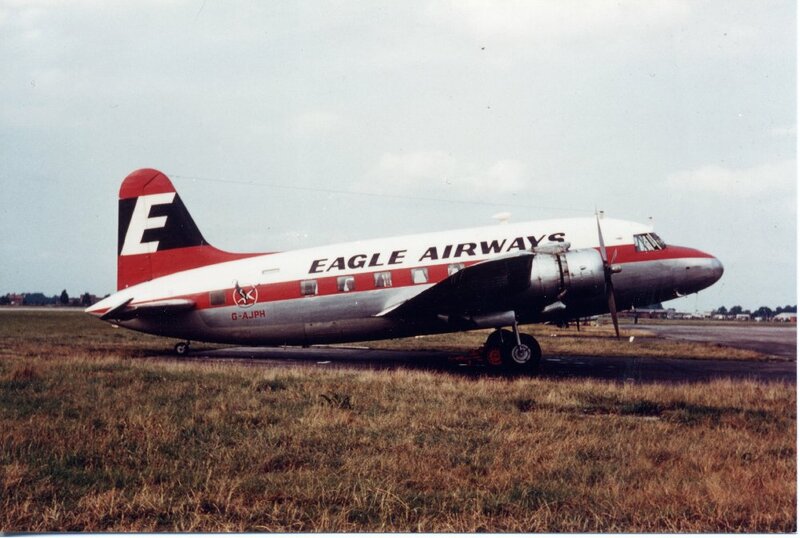 It was transferred to Eagle Airways Ltd on the 30th January 1957 and was converted to a type 618/3B in July 1960. 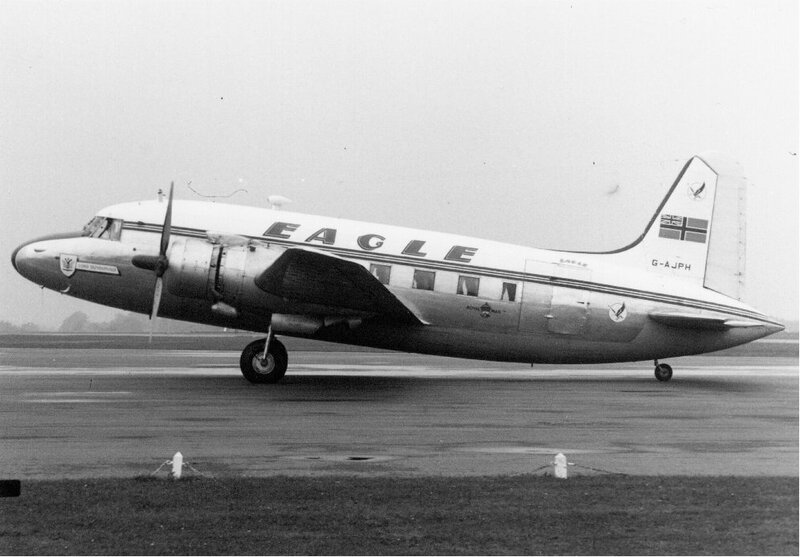 Transferred to Cunard Eagle on the 5th January 1961.